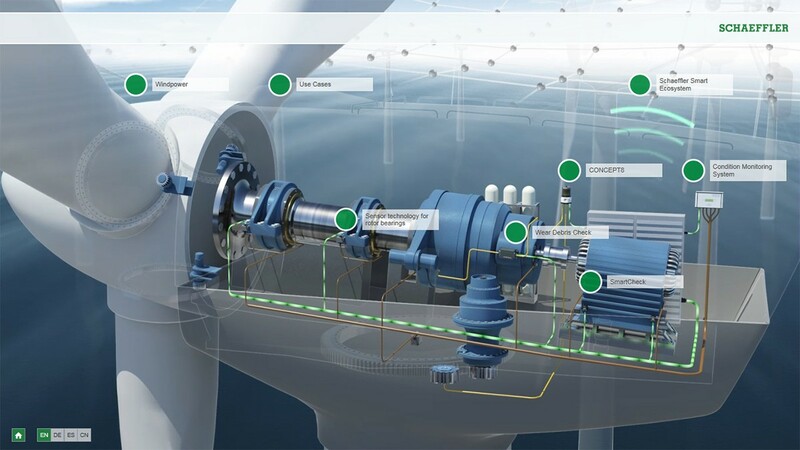 Find information about smart components and ditigal services for predictive maintenance of wind turbines. 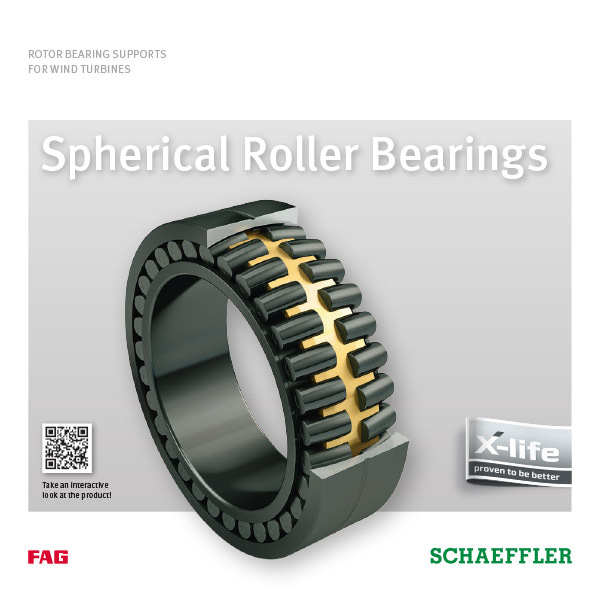 Find information about Schaeffler products and services for rotor shafts, gearboxes, generators, wind tracking and blade adjustments. 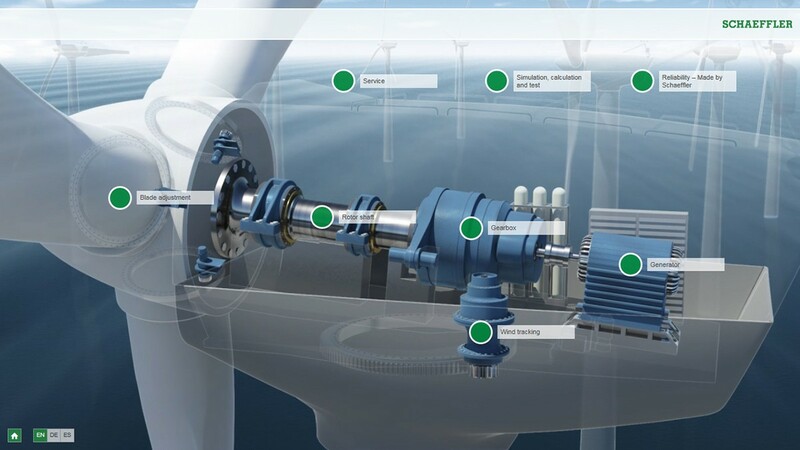 The rotor shaft bearing support is of central importance in wind turbines. This is where all the forces act that are induced by the wind. 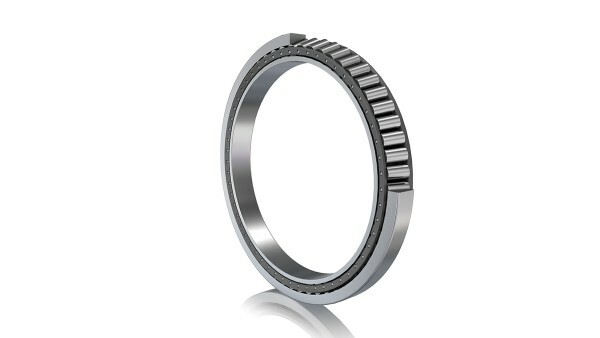 The rolling bearings are subjected to highly-dynamic loads and operating conditions. 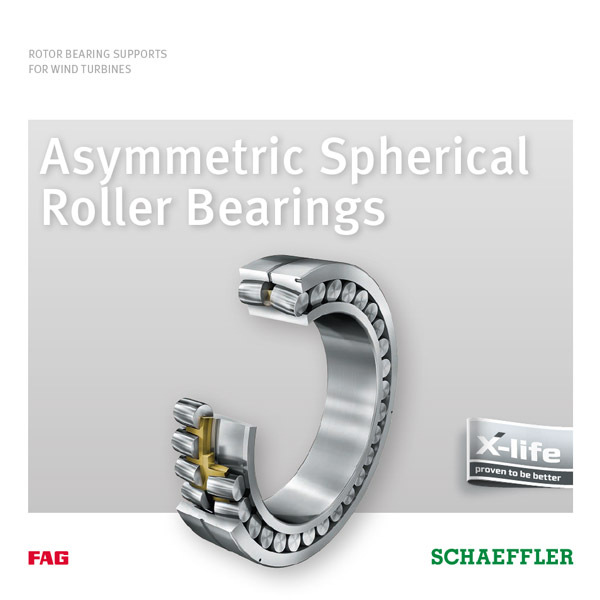 In partnership with customers, Schaeffler develops the most efficient bearing support for each case. If locating and non-locating bearings are mounted in separate housings, only one type of bearing with an angular adjustment facility can be used due to assembly and manufacturing inaccuracies in addition to shaft deflection. 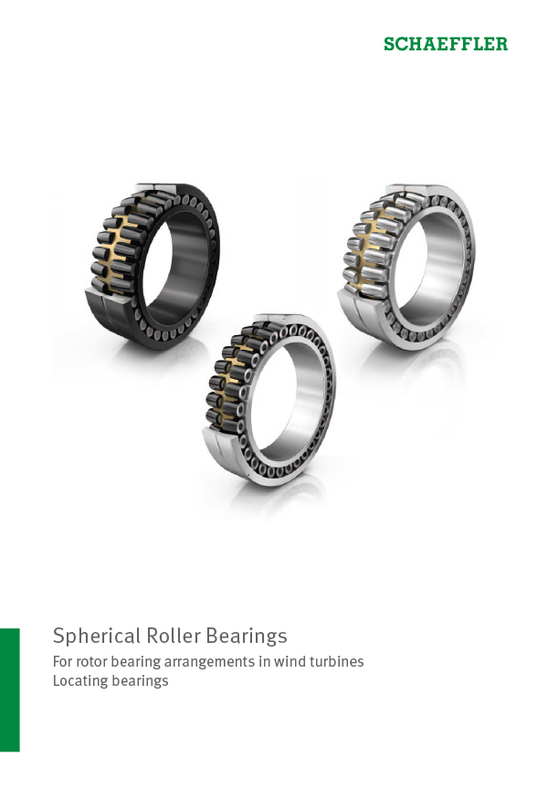 You can find standard spherical roller bearings for the non-locating bearing position in our GL1 catalog. The locating bearing is subject to particularly high axial loads as a result of the wind forces. 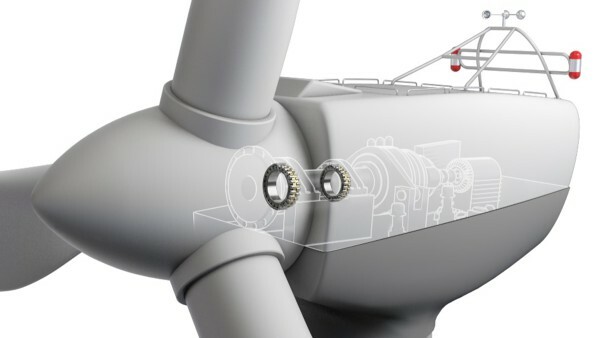 We have optimized our proven standard spherical roller bearings in order to better fulfill the specific requirements in the wind turbine. Internal construction optimized for the application. In addition to the optimized internal geometry, we have consistently further developed the spherical roller bearing in order to increase the operating life in wind turbines. The axial load carrying capacity has been significantly increased thanks to an asymmetric bearing design. The asymmetric spherical roller bearing has a larger contact angle on the bearing row subject to axial loads and a smaller contact angle on the bearing row subject primarily to radial loads. 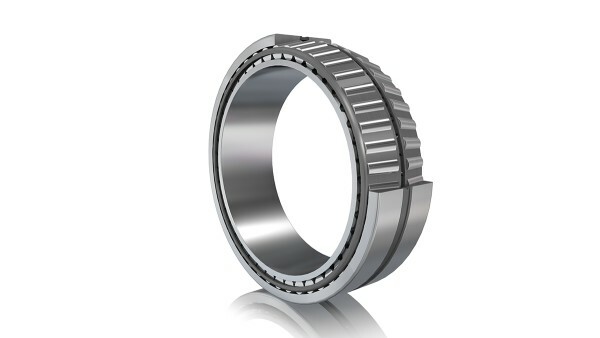 If the locating and non-locating bearings are placed in the same housing, the bearing positions can be very precisely matched to each other so that bearing types without an angular adjustment facility can also be used. The locating/non-locating bearing consists of a double-row tapered roller bearing and a cylindrical roller bearing. In the adjusted bearing version, two tapered roller bearings are mounted. 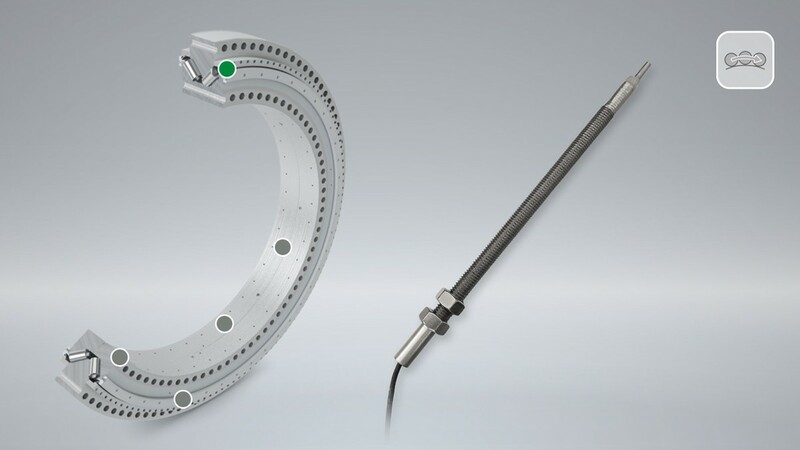 With the single bearing concept, the rotor is only supported by one double-row tapered roller bearing in an O arrangement that supports all forces and moments. 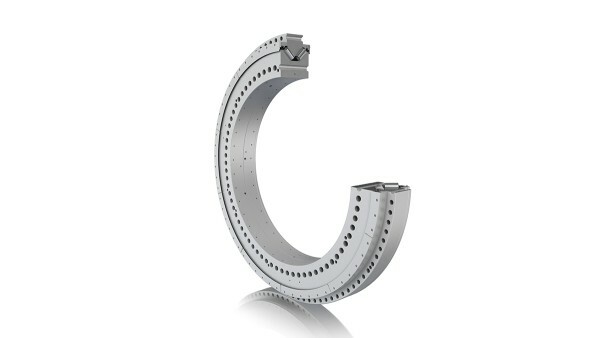 The dimensions of the large-size bearing extend to over 400 mm in width and over 3,000 mm in outside diameter. Vibrations can also be an indication of bearing damage. 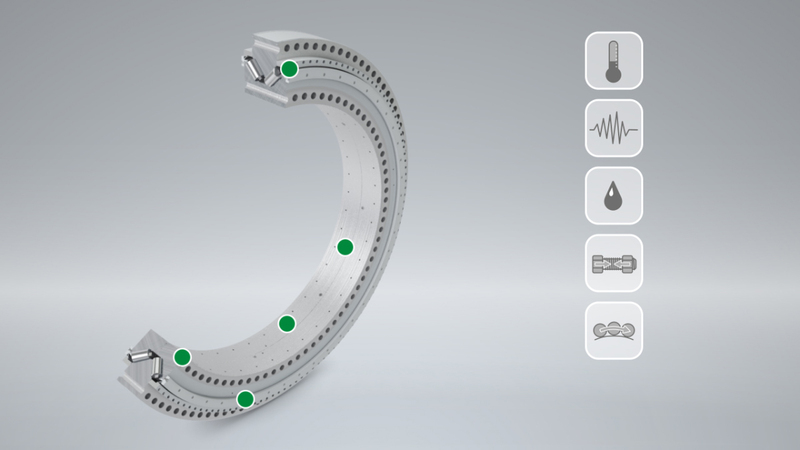 The bearing’s operating condition is continuously monitored using a vibration sensor. Incipient bearing damage is thus detected at an early stage and maintenance can be planned predictively. 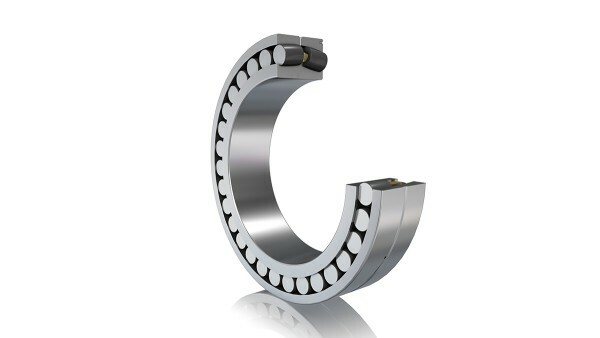 The quality of the lubricant has a major influence on a bearing’s operating life. 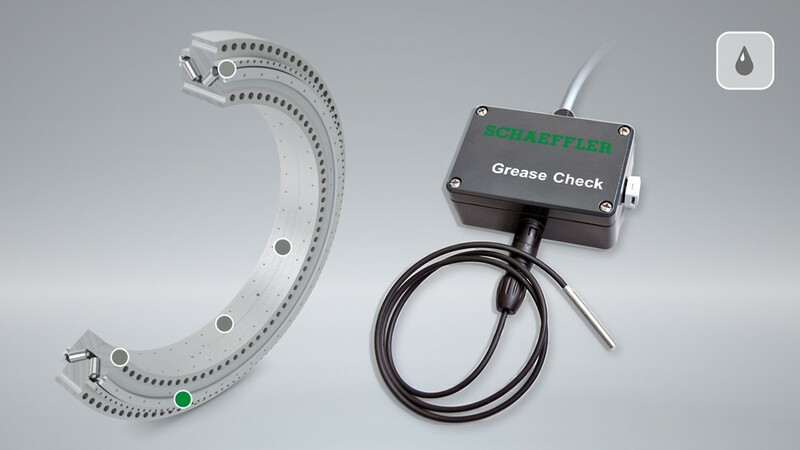 The GreaseCheck grease sensor continuously measures changes in the grease’s condition directly inside the bearing. 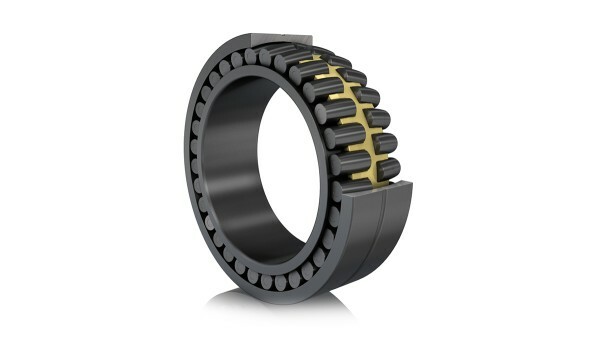 Requirement-based relubrication prevents bearing damage, reduces costs, and saves resources. Slippage, i.e. 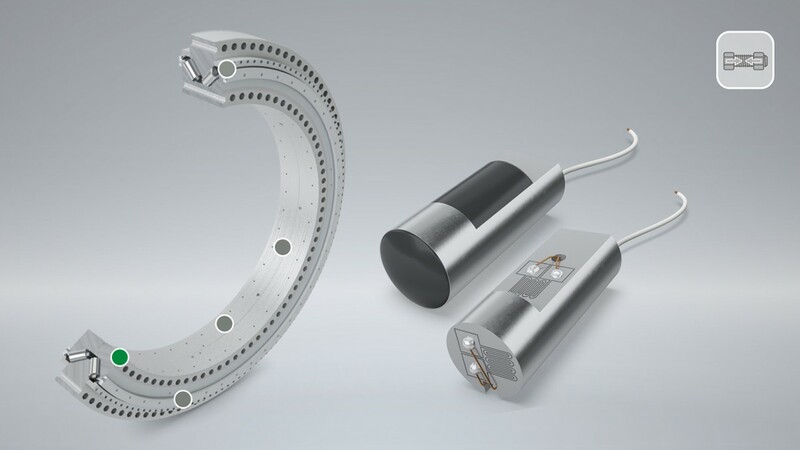 the rolling elements sliding out of the raceway, induces frictional power into the bearing and encourages the occurrence of damage. 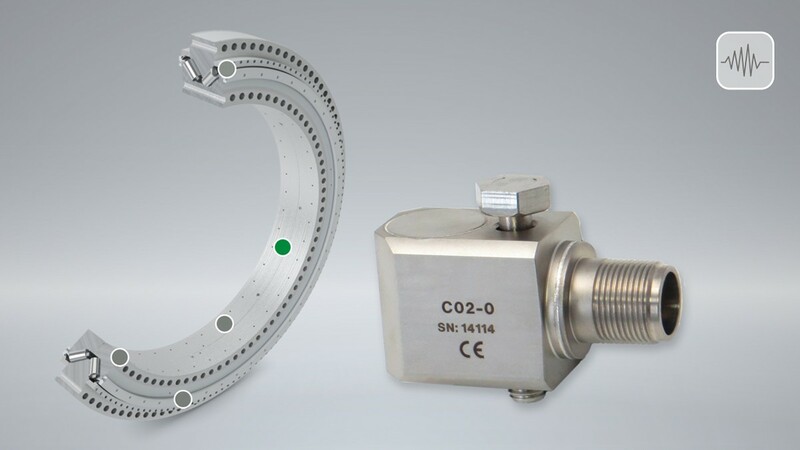 The inductive distance sensor is suitable for detecting rolling element slippage and thus makes it possible to initiate countermeasures in good time. 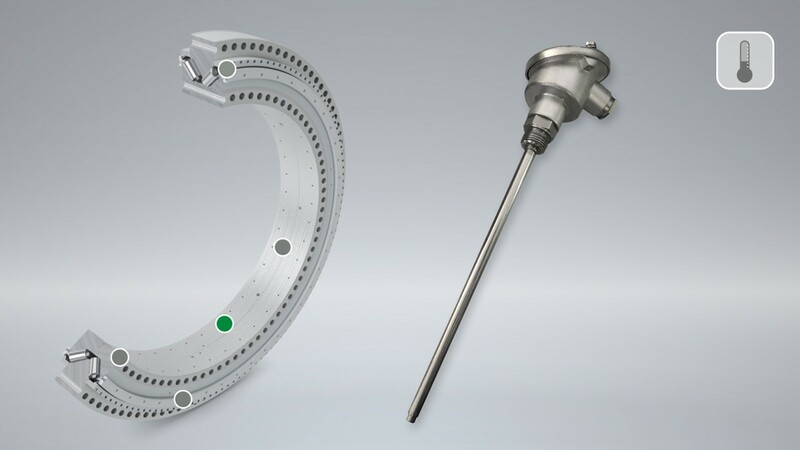 The bearing temperature has a large influence on the preload in the bearing and therefore its operating life. An increase in the operating temperature can be an indication of incipient damage or possible ring displacement. In flanged bearings, the preload of the screws has a direct influence on the bearing’s performance capacity and operating life. The LoadSense Pin monitors the screw preload during operation and warns the user as soon as a threshold value is undershot.